This series is another student request , hope you enjoy this series. These books are probably not what I would choose which is why we love to have student requests. "I am the power they can't tear down..." To find out why this statement is on all 3 covers of these books, I guess you are just going to have to read them. I needed this book when I was 14, probably still do now, in fact I am going to a wedding on Saturday and I might steal a few tips from it- ones that suit me. I love the " just add a scarf" page, or the tips on fitness, then there is the various options on how one should deal with body hair, relaxation techniques, how to shape your eye brows, what foundation is best and how to flatter your body shape. All this is useful, but what is awesome is the last chapter on Wellbeing. How to be stunning on the inside, how to be proud of who you are, how to beat your inner critic and how to be your own fabulous self!! This makes this book all worthwhile and one I reckon every female at this school can relate to and learn from. Now should I go for a pixie cut or a bob and should I will spend some time exfoliating my lip? 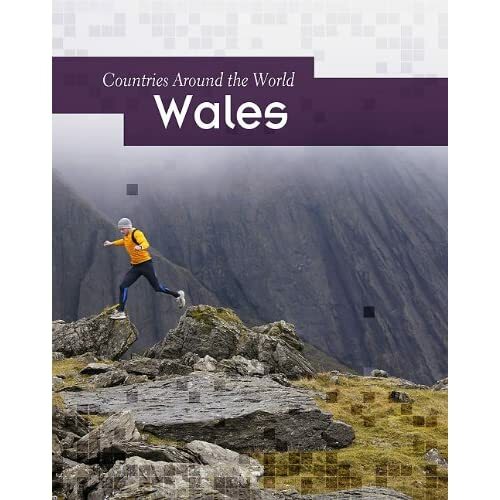 What do Ireland, Wales and Scotland have in common? They all have contributed to the population and culture that is New Zealand. It rains a lot in all of these countries. They lose to the All Blacks in Rugby. They all don't really want to be governed by the British throne. They brew all kinds of interesting beverages. They have invented weird sports like tossing the caber, curling and hurling. They all have green rolling hills and mists rolling in from the sea. They like cold damp castles and knights and dragons and Nessy's. You need to research them all for your schooling and we have the perfect set of books for you to do that with!!! Valerie Kasanita Adams, (born 6 October 1984) is a shot putter from New Zealand. She is a two-time Olympic, Commonwealth and World Indoor champion and a three-time World champion. She currently holds the New Zealand, Commonwealth and Oceania and World Championship records with a personal best throw of 21.24 metres. Most of all she is a Kiwi girl, with a Kiwi story, of Tongan blood who grew up in Mangere. Valerie Adams will be forever one of our greatest sportswoman, models and heroes, she is ours and we love her for that. 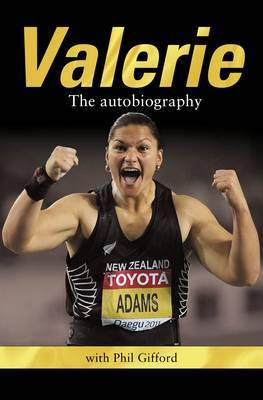 But the sporting world do to.. Valerie Adams is a finalist for the Laureus Sportswoman of the Year Award in 2012. Valerie Adams has been nominated as one of three finalists for the International Athletics Federation’s Woman Athlete of the Year award this year as well. This at last is her story, raw, real, brave and true, it is a great read. She is different to Richie McCaw- he is guarded, Valerie lets it all out, but together they give us two of our greatest New Zealand sporting stories, a Pacific Islander girl from Mangere, a farmer boy from Central Otago- and that is why I love New Zealand- we are people that grab opportunity and run with it, together, despite our own story- or because of it, we can shake the world- these two prove it. One of our student librarians gave me a telling off, we did not have the Chronicles of Narnia in separate volumes, just in the omnibus and people take it out for far to long. He said ALL libraries should have each book and we did not!! I agree with him, so I have fixed this up for him. It amazes me that a student in 2012 can demand nicely a series of books that kids in the 1960's were demanding as well- that tells you the power of Narnia. 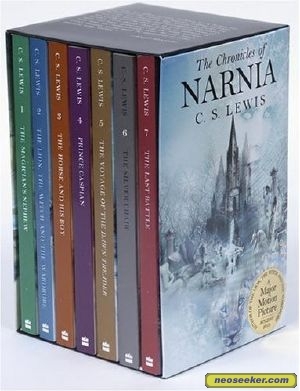 I follow C.S Lewis on Twitter and he has been long dead, that tells you the power of the author. It seems strange that a lion, a witch, fauns, centaurs, minotaurs and some children have captured us for so long, is it the Greek mythology, is it the Christian message subtlety hidden in there, is it Aesop's Fable type messages, or is it that the story is just so brilliant- it is the most "read allowed to children" series ever- so they say!!! Whatever it is- we have them all in separate books, brand new, wonderfully illustrated and I guarantee you, these books will be the eldest written most popular books in our library in 2013!!! 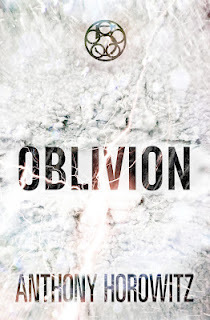 This book has a cool freaky cover and a weird and different premise- Nemo from Goodreads.com previews it really well and she gave it 5 stars!!! 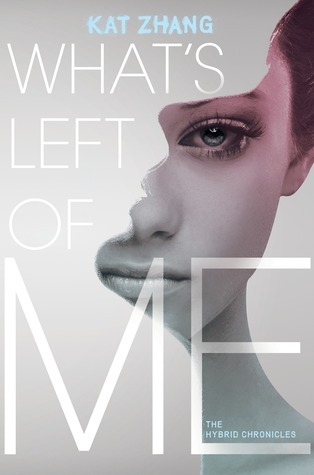 Kat Zhang’s lushly imagined What’s Left of Me spins the tale of what happens when a recessive soul sharing one body with a dominant soul refuses to fade away, as they’ve been led to believe is inevitable. Anyone left with two souls in their single body is a ‘hybrid – dangerous, illegal, and swiftly dealt with by the government. Eva is our recessive soul, and the book is told from her point of view. She shares a body with Addie, and they are fifteen years old. It’s original, heartbreaking, and really makes you think about propaganda, the government, what it’s like to be a child, the power of the medical world, international relations and all sorts of things. It was wonderful. 'Jack Reacher has long since earned his prominent place in the pantheon of cool, smart- talking American heroes" New York Times. 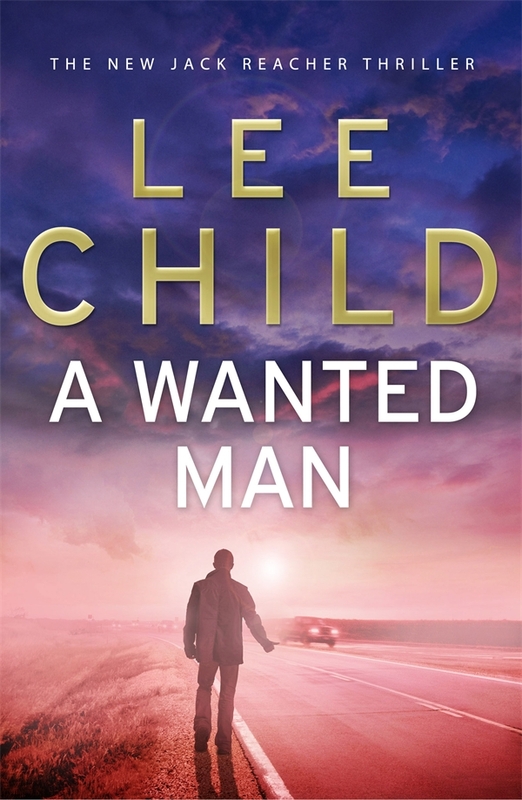 In Lee Child’s white-hot thriller, nothing is what it seems, and nobody is telling the truth. As the tension rises, the twists come fast and furious, keeping readers guessing and gasping until the explosive finale. This according to the Goodreads review. AND there is the movie coming... Tom Cruise blockbuster - here we come, but hay, read the books first, they are ALWAYS better! 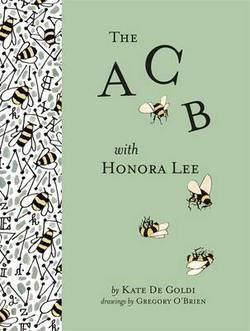 Genre: Hmmm Kind of a novel cross a picture book about family. I was chatting to a friend over breakfast this morning about our grandparents. The kind of people they are or were, the impact they have on us, how they teach us things our parents may not have. My Grandmother taught me to comb my hair, 100 times in one place and then 100 in another- I have very curly hair- Nana it was not that easy!! She taught me to put my peas on my mashed potato so they would not fall off -my Nana was clever. She also instilled in me that politics matters, that idea's need to be thought about, she showed me that Religion was a lifestyle that had meaning, she made me know that standards and expectations were high and as "Adams" it was my job to keep them as generations had before. I hope she would be proud of me now- even though I still pull apart my Cameo creams and lick the icing!! This story is also about a Granddaughter and her Gran, it is about a child and the elderly- and it is beautiful, it is whole, it is about words- but it is about life and meaning. Grans and Nana's do that to you- sometimes even if they don't know that they do! Ohhhh I cant wait, Im ready, I have re-read the book and I plan to go and see this movie with my man, my kids and nephews and nieces and have a long cafe visit after to indulge ourselves in another masterpiece. 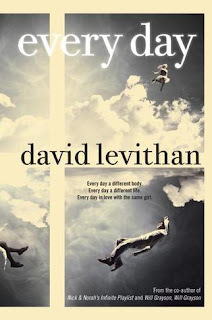 Here is the offical movie trailer, but please please please- read the book first!!!!! You know the question- if you could have someone at your table for a meal and a chat who would they be? Mine I think could look like this- Mother Theresa, Mahatma Gandhi and Desmond Tutu- and I also think Princess Di, Bono and my Great Great Grandfather- T.W.Adams. India and South Africa feature which I guess is obvious I hang out a bit in those places. T.W Adams was a pioneer in Canterbury, he came from near Cambridge in Britain and came to New Zealand as a young man in 1862. He is the man with the mana in my whakapapa. 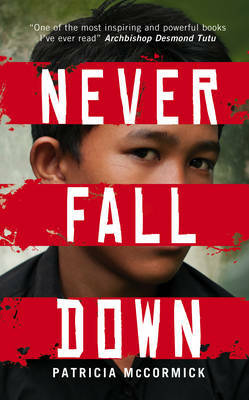 Anyway this book is endorsed by Desmond Tutu - he said " One of the most inspiring and powerful books Ive ever read". So it was a must purchase. It is about The Killing Fields of Pol Pott and the Khmer Rouge, it is about being made to be a child soldier. " Over and over I tell myself one thing: Never Fall Down! It is about a child of war who became a man of peace and his name is Arn Chorn-Pond, and it is true. It is the US election tomorrow, I have been following it and have found myself having a preferred president as the race has progressed. Even people from far away in New Zealand care, I was asking some of our students about it, and a couple of them suggested that it would not affect them at all- they are wrong, so wrong. 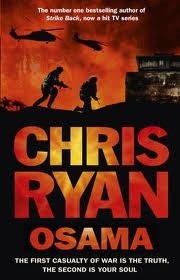 Chris Ryan has written his latest book on events that shape us, determined by the actions of the US president. It is about what happened the day Osama Bin Laden was killed- taken out, by the presidents orders. SAS hero Joe Mansfield was there, he watched Seal Team 6 go in, he saw it all- ALL and that means he now has seen to much. People want Joe dead. As the front of the book says " The first casualty of war is the truth, the second is your soul". The Sun says this story is shockingly authentic and will keep your adrenaline pumping as fast as the blood on the pages of the book. The Presidential election is going to be a close fought thing, and whoever wins, will make decisions that impact us, even in New Zealand. If that is eliminating evil terrorists from treachery and hunting down despots that destroy, or guiding the USA through economic recovery, the US presidents actions impact us, and give authors great subjects for good books. So now we have all the soccer stars books in the library, thanks Issac for asking, you now have a years reading ahead of you. Just remember though a true star does not only kick a ball with exquisite perfection, head the ball impossibly into the corner of the net and make blistering leads into the circle, he also has a story to tell that he is a good man. I know you will enjoy this one, it is well told, from Wayne Rooney himself, it is just missing something, a chapter about winning the World Cup. I guess you just have to be an All Black to have that chapter! So she recreates Adam and makes George Clooney, Johnny Depp and Justin Timberlake look ordinary- so I'm interested. The perfect boy. Eve has created him, normally it is the other way around. Eve gets to chose his hair, eyes, muscles and even his brain. The thing is though- will he be perfect? ‘Oh, she’ll come,’ Terra Spiker says. ‘It’s the fate of all creators; they fall in love with their creations. Now if I made the perfect man , what would my recipe be? 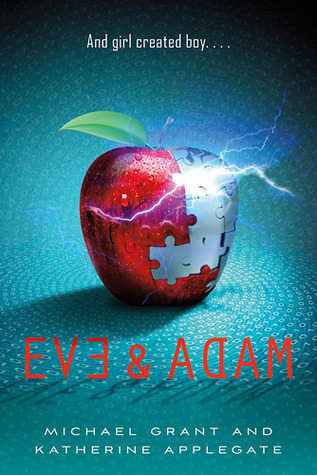 Eve has the chance, dominated and controlled by her overbearing mother who is a research genetics scientist. How does he look and most of all, will he be a good man, will she like him, will he like her? Genre: Horowitz- you know what I mean! What makes nice tempered, polite, great librarians turn into squabbling, fighting ratbags- OBLIVION!!! When they saw it on my desk, the bargaining was intense, the deals between them managerial and the promises immense. The problem is the seniors have exams and I cannot with integrity give them a book that will stop them studying. Juniors win this time!!! This is the fifth and final in the series, it is big, it is long and it is intense.